The Blitz had destroyed thousands of homes in south east London, leaving considerable numbers homeless. One of the responses was the Housing (Temporary Accommodation) Act 1944, which planned to deliver 300,000 prefabricated homes over 10 years, within a budget of £150m. The temporary homes were designed to be quickly put up and last 10 years while more permanent solutions were found. Only half of that number was ever delivered due to a combination of costs being greater than expected and higher than traditional brick homes, and pubic expenditure cuts after 1947. 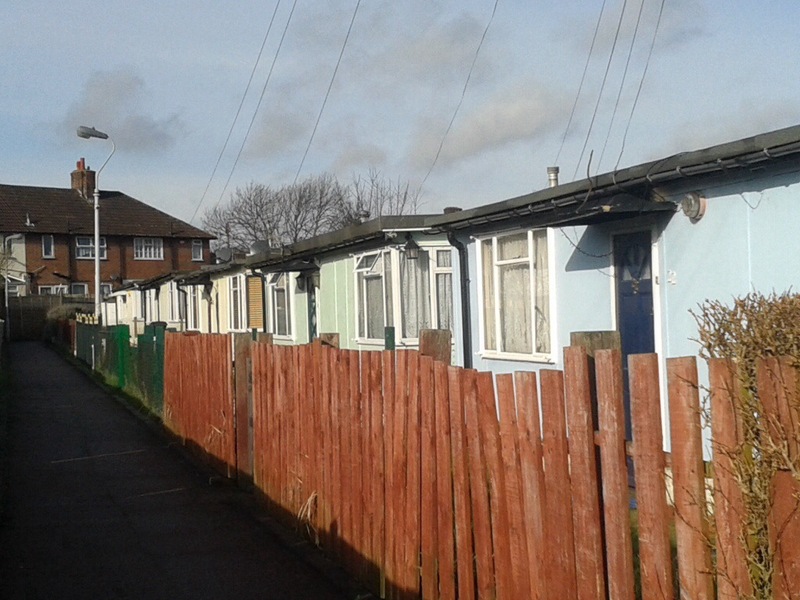 The old Borough of Lewisham put up 1,610 prefabs by 1948 and a further 1,088 by 1955. While many went on quickly cleared bombsites, parks and open spaces were often used. The sites used for ‘prefabs’ included locations on Blackheath, including Wat Tyler Road, and on the Greenwich Borough side of the ‘Heath, St Germans Place as well as on the open space on Pond Road. A little further away, there were several dozen around the edge of Hillyfields, where they remained until the 1960s. The biggest concentration solely in Lewisham was on the edge of Forster Memorial Park, the Excalibur Estate, which was one of the early developments; the 187 two bedroom bungalows were built in 1945-46. The Excalibur homes used the Uni-Seco model which is flat roofed with a timber frame with asbestos within the walls. The Uni-Seco homes average cost was around £1,131 – considerably more than the £500 a home assumptions in the 1944 Act. 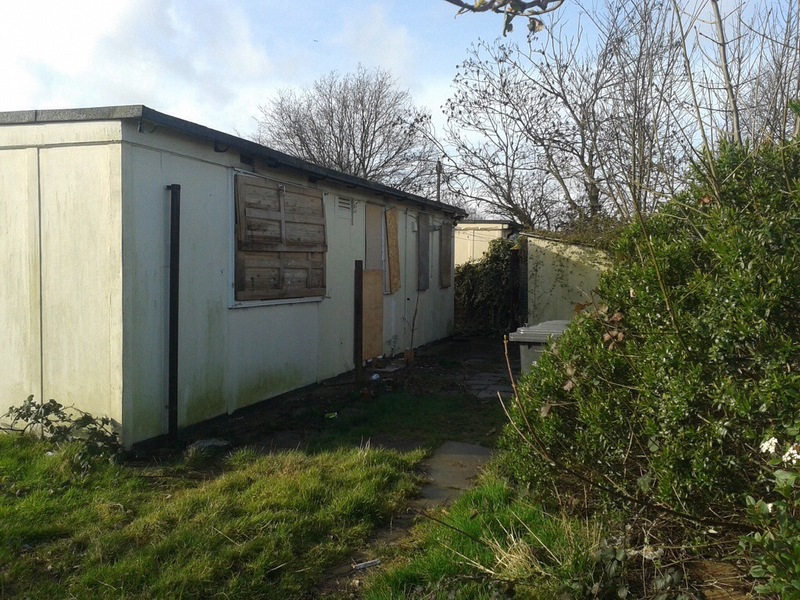 Like many of the prefabs it was built by Italian and German prisoners of war from Rommel’s North Africa campaign. 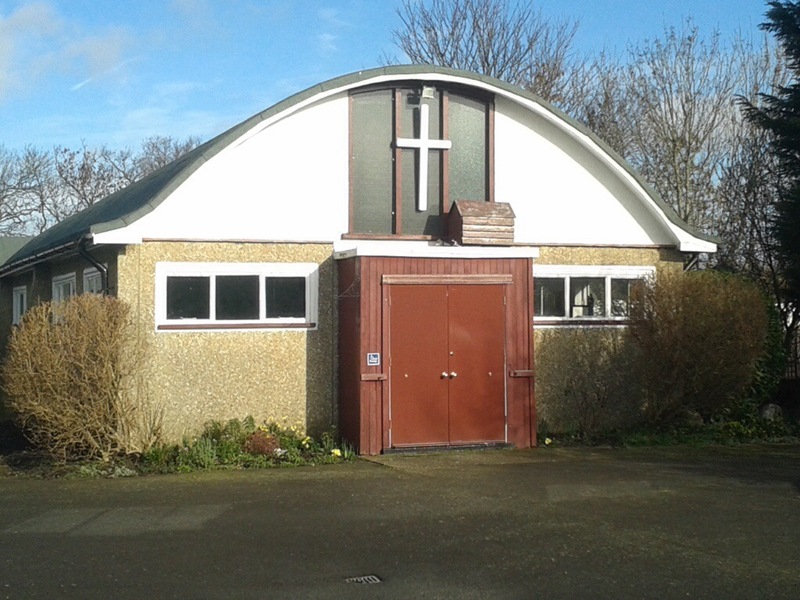 The estate also contains a prefab church, St Mark’s. The number of prefab homes from the immediate post-war period is declining rapidly as sites are redeveloped, while Excalibur largely remains, its end is nigh. The homes have outlasted their lives by some margin but would be very expensive to bring up to current standards. Demolition has already started on the eastern side of the estate and other homes have been decanted ready for clearance. New homes were due to start being built at the beginning of 2014, but there now appears to be a large degree of uncertainty as to both the detail of the plans and the timescales. The estate is an important piece of 20th Century history and six of the homes have been listed. It is also for three weeks only, home to a ‘pop-up museum’ in one of the empty bungalows. 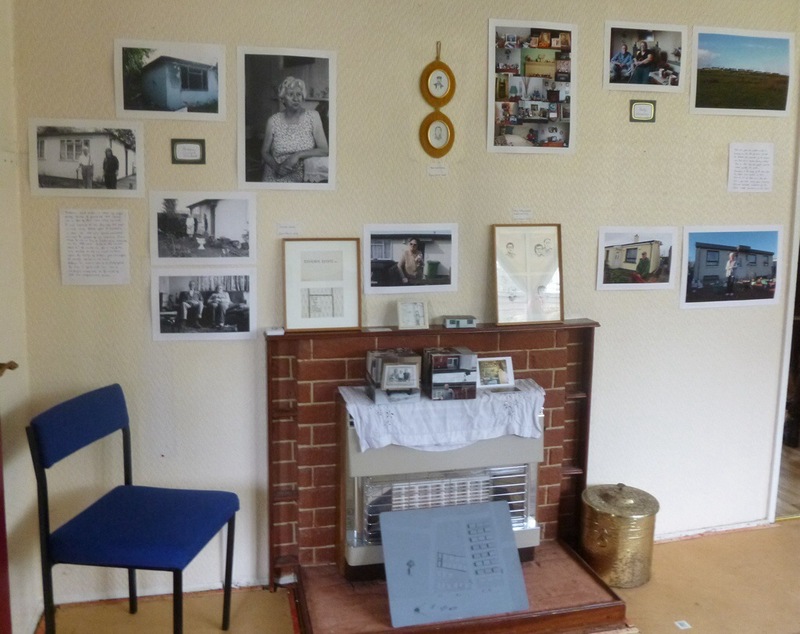 As well as providing the opportunity to see what the homes are like inside there are photos of life on the estate as well as prefabs elsewhere in the country. 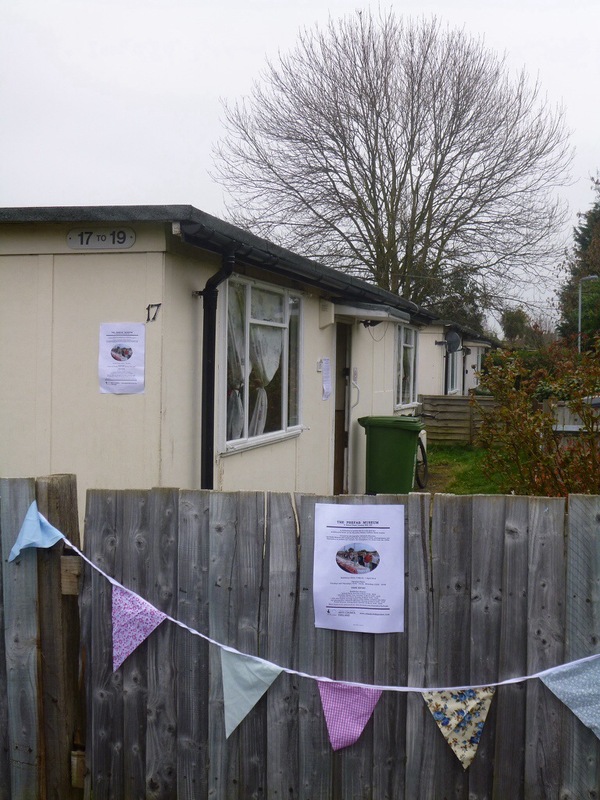 There was an even larger prefab development at Grove Park on the borders between the then Borough of Lewisham and Chislehurst and Sidcup Urban District Council with 210 homes on the playing fields at the corner of Marvels Lane and Grove Park Road. These lasted into the early 1960s but there seem to be no remaining photos of them – if anyone can locate any of them let me know and I will pass them on to a local historian. This entry was posted in Lewisham History, Listed Lewisham and tagged Blackheath, Catford, Excalibur, Grove Park, Prefabs on March 13, 2014 by Paul B.
Oh pleased that you went along to this I couldn’t make it last weekend. I hadn’t realised that some of the prefabs were now listed. I wonder why these temporary homes were called hutments in the 1st WW and then changed to prefabs by the 2nd. I think that they are doing tours again tomorrow, it is certainly open for the next couple of Saturdays. Hutment just means an encampment of huts. The huts may or may not be residential, and were not necessarily prefabricated. The Housing (Temporary Accommodation) Act 1944 aimed to deliver 300,000 homes, all to be prefabricated (flat-pack or modular). 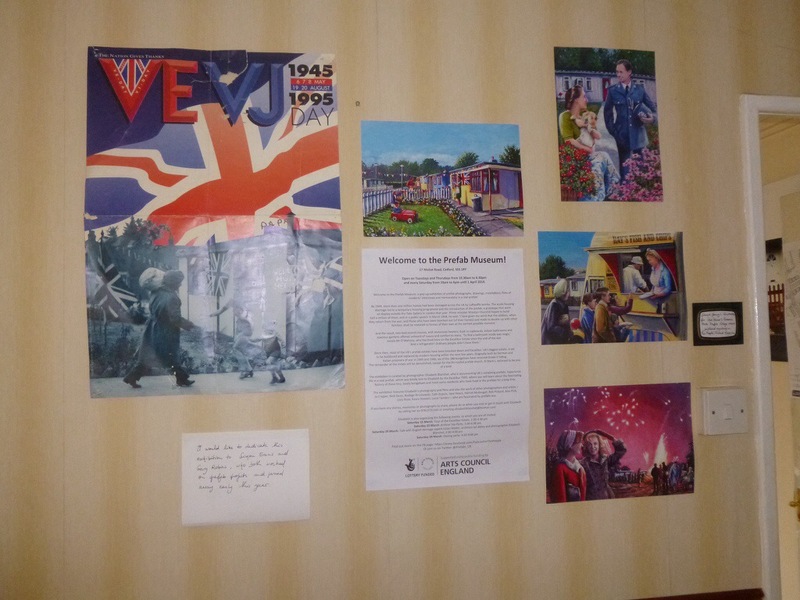 I had a friend who lived in the prefabs at Grove park…and I lived in Meliot road prefabs….